Over the past three seasons, 210 teams have participated in bowl games. 47 of those teams had losing records in the years immediately preceding their bowl game. This semi-regular piece will showcase the losers from 2013 who just might find themselves participating in Capital One Bowl Week in 2014. In this installment, we head to the west Texas town of El Paso. After nine years and moderate success (three bowl appearances) under Mike Price, the Miners began a new era in 2014 when Sean Kugler took the reigns. The Miners opened 2013 with a high-scoring loss to New Mexico and followed that up with a high-scoring win over New Mexico State, giving them an even record against teams from the Land of Enchantment. 1-1 was as good as it would get for the Miners in 2013. They lost nine of their final ten games with each defeat save one, a 38-35 loss to Louisiana Tech, coming by double digits. The Miners did pound Florida International to earn their second win of the year in mid-November, but the season's shining moment may have been when they gained an early 7-0 lead on Johnny Manziel and Texas A&M in College Station. Alas, the Aggies scored the final 57 points of the game and were not seriously challenged. What Did the Miners Do Well? Beat the teams they were better than. No doubt about it, UTEP was awful in 2013. They ranked 116th in the Simple Rating System (SRS) metric. Only two teams on their schedule, New Mexico State and Florida International, were worse based on the SRS. UTEP pummeled those teams by a combined 44 points. They didn't win any other games, but they crushed the teams they were better than. Go Miners! What Didn't the Miners Do Well? Play defense. UTEP played twelve games in 2013. In eleven of those games, their opponents averaged at least six and a half yards per play. Only Florida International failed to bury the UTEP defense. The Miners also allowed at least 32 points in ten of their twelve games. Perhaps not surprisingly, in the two games where they held their opponents under 30, they won. The following table lists UTEP's performance (in conference play only) in a few key categories and their respective conference rank in those categories. To help you read the table here is a handy translator. Conf: The Conference UTEP played in. With the ever-changing college football landscape, this is helpful. YPP: Yards per play. The number of yards per play the Miners averaged in conference play. YPA: Yards per play allowed. The number of yards per play the Miners allowed in conference play. As you can see from the table, UTEP has not been particularly good, even within the confines of Conference USA over the past four seasons. In their lone bowl season of 2010, UTEP leveraged an incredibly easy schedule to a bowl invitation. Their six wins that season came over Arkansas-Pine Bluff (IAA), New Mexico State (2-10 record), New Mexico (1-11), Memphis (1-11), Rice (4-8), and SMU (7-7). Plus, they also lost to esteemed outfits like UAB (4-8), Tulane (4-8), Houston (5-7), and Marshall (5-7). The Miners continued their below average play over the final two seasons of the Mike Price regime, but nearly garnered another bowl invitation in 2011 before losing four of their final five games to finish 5-7. The bottom continued to fall out under Sean Kugler, as UTEP posted their worst statistical season in a decade. We need to give Kugler a few years to right the proverbial ship, but early returns were not promising. Outside of Conference USA, UTEP plays a pair of familiar foes. The Miners have played some combination of New Mexico or New Mexico State each season since 2003. In that span, the Miners have been pretty successful against both schools, posting a stellar 8-2 mark against New Mexico State and a 3-2 record against New Mexico. 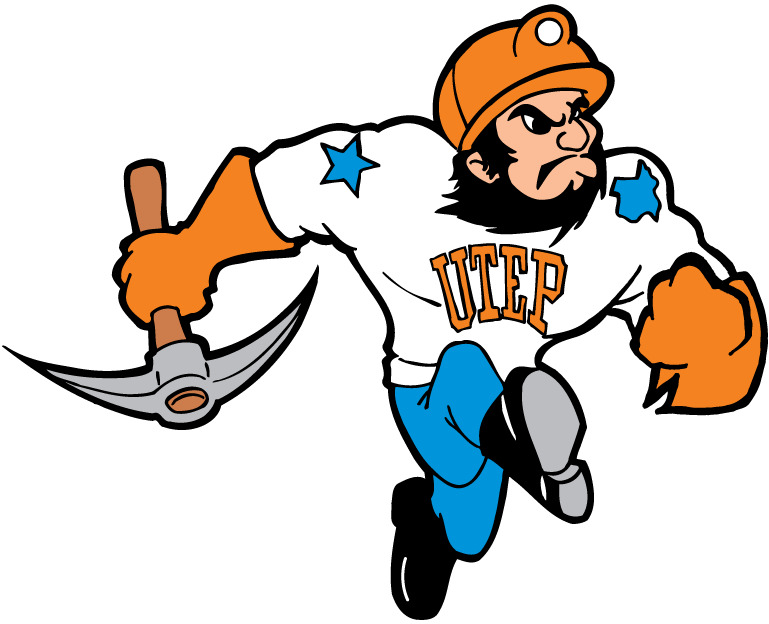 In 2014, the Miners host the Aggies (State) and travel to Albuquerque to take on the Lobos. In their other two non-conference games, the Miners also have a home/road split, but these two figure to be tougher, as both teams come from the Big 12. The Miners visit Bill Snyder and Kansas State while hosting Ryan Gosling lookalike Kliff Kingsbury and Texas Tech. A split of those four games would be about the best UTEP could hope for and a 1-3 or even 1-4 mark would not be surprising. In conference play, the Miners host IA neophyte Old Dominion, Middle Tennessee, North Texas, and Southern Miss. Two of those teams were bowl eligible last season (Middle Tennessee and North Texas), while Old Dominion went 8-4 as they transitioned to IA football, and Southern Miss won the conference just three short years ago. The Miners will probably win at least one of their home games, but they could be betting underdogs in each one. When they hit the road in conference play, they will meet Louisiana Tech, Rice, Texas-San Antonio, and Western Kentucky. Rice, Texas-San Antonio, and Western Kentucky all finished with winning records last season and Louisiana Tech has won 21 games over the past three seasons. Suffice it to say, if UTEP posts a strong (or even mediocre) record in 2014, they will have earned it. Jameill Showers. For those who may not know, Showers was beaten out by Johnny Manziel as the starting quarterback for Texas A&M prior to the 2012 season. Showers transferred to UTEP and posted decent numbers for the Miners before an injury against Rice in the seventh game forced him to miss the rest of the season. In the three conference games Showers saw significant action in, the Miners averaged 4.87 yards per play. Those are hardly imposing numbers. However, in the five games where he saw little to no action, the team averaged just 4.81 yards per play. If we ignore the victory over Florida International, the Miners averaged just 4.33 yards per play in conference games during which Showers did not participate or participated sparingly. If Showers can improve and stay healthy during his second season in El Paso, the Miner offense could conceivably move to middle of the pack in Conference USA. UTEP has not finished with a winning record since 2005, and that trend appears likely to continue nearly a decade later in 2014. The non-conference schedule, featuring a pair of Big 12 teams, is not conducive for a great start. There are also no IAA opponents on the slate, and while New Mexico and New Mexico State have struggled mightily in recent years, the Lobos actually beat the Miners last season. Even if the Miners beat both New Mexico teams, they would still need to break even in Conference USA to even qualify for a bowl. Five of their eight conference opponents were bowl eligible last season and Old Dominion has been a IAA power under Bobby Wilder and appears poised to make the most of their jump to IA. Finally, the two lightweights on their conference slate, Louisiana Tech and Southern Miss, have tasted success in the not too distant past, with both winning league crowns in 2011. I think the 2014 season has to be dubbed a success (or at least a mark of progress) if the Miners can double up last season's win total and earn a quartet of victories. Over the past three seasons, 210 teams have participated in bowl games. 47 of those teams had losing records in the years immediately preceding their bowl game. This semi-regular piece will showcase the losers from 2013 who just might find themselves participating in Capital One Bowl Week in 2014. For our fourteenth installment, we will finally touch on the Mid-American Conference and the Kent State Golden Flashes. Fresh off their first bowl appearance since the Nixon administration, Kent State began 2013 with a new coach as Paul Haynes took over for Darrell Hazell, who migrated to Purdue after the successful. 2012 campaign. The Golden Flashes opened 2013 in rather inauspicious fashion, edging IAA Liberty 17-10. The Golden Flashes quickly turned their attention to MAC play the following week, when they hosted eventual MAC champion Bowling Green. The Falcons dimmed the Flashes 41-22. Even a Kent State homer realized the next two games would be ugly. And said homer would have been eerily prescient as LSU and Penn State beat the Golden Flashes by a combined score of 79-13. The Golden Flashes returned to MAC play the following week and unloaded their frustrations on Western Michigan in a 32-14 win. Entering October, the Golden Flashes were 2-3, but with a 1-1 league mark, still had designs on a solid finish and potential bowl bid. Alas, they would not win another game until after Veteran's Day, losing five consecutive games with three coming by double-digits. At 2-8, the Flashes had every right to phone it in and prepare for 2014, but they bludgeoned Miami of Ohio and Ohio by a combined score of 68-19 to end their season on a positive note. What Did the Golden Flashes Do Well? Not much. Kent State was not a terrible team in 2013, but they were embarrassingly mediocre in the MAC and nationally on both sides of the ball. As a cop out, why don't we go with make extra points. The Golden Flashes converted on each of their 29 extra points in 2013, becoming one of 37 teams to finish with a flawless extra point game. As an added bonus, they were also successful on both their two-point conversion attempts, proving that on untimed plays, the Flashes were fantastic. What Didn't the Golden Flashes Do Well? Kick field goals. While Kent State's kickers Anthony Melchiori and Brad Miller made all their extra points, they did not do so well when it came to making kicks worth three times as many points. As a team, the Golden Flashes made just 10 of 18 field goal attempts on the season. Their field goal percentage, just south of 56%, ranked 113th nationally in 2013. The following table lists Kent State's performance (in conference play only) in a few key categories and their respective conference rank in those categories. To help you read the table here is a handy translator. 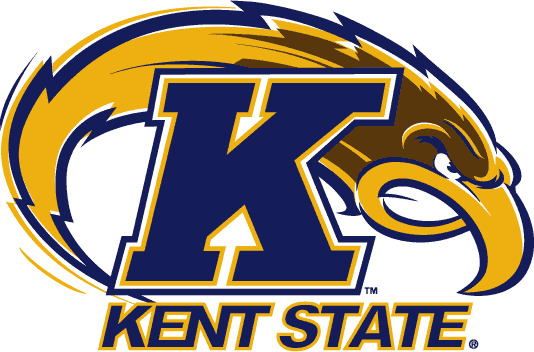 Conf: The Conference Kent State played in. With the ever-changing college football landscape, this is helpful. YPP: Yards per play. The number of yards per play the Golden Flashes averaged in conference play. YPA: Yards per play allowed. The number of yards per play the Golden Flashes allowed in conference play. In 2010 and 2011, first under Doug Martin, and then under Darrell Hazell, the Golden Flashes fielded a phenomenal mid-major defense, but could not get over the proverbial hump thanks to some major incompetence on offense. The Golden Flashes fielded those strong defenses with the aid of just a single (thus far) NFL player, Ishmaa'ily Kitchen, a defensive lineman. That number may soon double with Roosevelt Nix, an undrafted defensive lineman who was signed by the Atlanta Falcons. In 2012, the offense roared to life, and while the defense regressed from superb to solid, the Golden Flashes enjoyed a dream season. As you can tell by the numbers though, the Golden Flashes were not quite as good as their undefeated record would indicate. A host of factors conspired to allow them to contend for a BCS bowl. For starters, they boasted an in-conference turnover margin of +9 which was second in the MAC. They also scored six unconventional (or non-offensive) touchdowns in their eight conference games. The electrifying Dri Archer (who makes defenses quiver) returned two kickoffs for touchdowns in MAC action (he added a third against Towson), the defense returned a pair of interceptions for touchdowns, and also a pair of fumbles, giving the Golden Flashes an additional three quarters of a touchdown per game over their MAC schedule. While huge plays by special teams and defense are certainly vital to winning football games, they are highly volatile and unpredictable events. Case in point, the team scored just one non-offensive touchdown in 2013 (another kickoff return by Archer). Thus, while the Golden Flashes were certainly a worse team in 2013, the drop off from their magical 2012 season was not as pronounced as the won/loss record would indicate. In non-conference play, the Golden Flashes can prepare for at least a pair of losses, as they travel to Ohio State and Virginia. The Ohio State game is a lost cause, and while a MAC team did beat Virginia in Charlottesville last year, the Cavaliers should be improved this season, and it would be hard to imagine it happening in consecutive years. Plus, the Golden Flashes are just 2-19 against BCS conference opponents in the last decade. In their other two non-conference games, Kent State will host Army and South Alabama. Kent State and Army have played three times in the past eight years, with Kent State winning the most recent edition in 2012. They have also played the Jaguars from South Alabama twice in the past three seasons, losing to them last season in Mobile, and beating the Jaguars (when they were still a IAA team) in 2011. Kent State should be favored over Army, but the South Alabama game is intriguing. In just their second year of IA football, the Jaguars finished 6-6 last season, with wins over the aforementioned Kent State, as well as bowl bound squads Tulane and Louisiana-Lafayette. The game is in Ohio, but Kent State will likely not be an overwhelming favorite. A 2-2 record in non-conference action should please even the most optimistic Kent State supporter. In conference play, the Golden Flashes host Akron, Massachusetts, Ohio, and Toledo. As far as home schedules go, that one is pretty solid. A 3-1 mark at home would not be surprising. However, their road schedule is a different matter. The Golden Flashes face last season's two MAC title game participants (Bowling Green and Northern Illinois) on the road, as well as another bowl participant (Buffalo), and Miami. The Golden Flashes will likely be underdogs, and perhaps prohibitively, in three of those games. The Golden Flashes weren't that bad last year. Sure Kent State was noncompetitive against LSU and Penn State, but most MAC schools would struggle just as much against those two teams. In conference play, based on the number of touchdowns scored and allowed, the Golden Flashes should have finished with an additional conference win. Plus, the Golden Flashes did all this with a freshman under center and with Dri Archer limited by injuries. Last season's Kent State squad was on par with the 2010 and 2011 teams, so its not like they have a huge hole to climb out of to return to contention. We'll know early on in 2014 if Kent State has legitimate bowl aspirations in 2014. They open with a pair of home games, against Ohio and South Alabama. Win them both and a bowl game appears a likely proposition. Split the pair, and the Golden Flashes probably top out at 6-6. Lose them both, and it is probably time to start looking forward to 2015. The big key for 2014 will be how Kent State plays at home. The Golden Flashes play six home games, and if they can sweep both Army and South Alabama in non-conference play, they would only need to get win four league games to qualify for a bowl. I'm thinking in the ten games not involving Ohio State and Virginia, the Golden Flashes win six of them. That will get them to bowl eligibility, but a bowl bid will depend on how the other MAC schools perform.